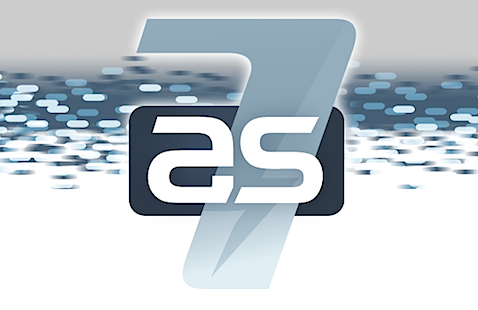 My Wiki: JBoss AS 7.0.2 "Arc" released! Let's quickly look at one of these improvements. Those of you who have been using previous versions of JBoss AS would know that starting JBoss AS 4.2.x, JBoss by default binds its services to localhost for security reasons. These previous versions of JBoss AS allowed a command line option "-b" to allow binding the services to a different IP. AS 7.0.0 and 7.0.1 did not have this feature. Users could still bind to an IP of their choice but that required editing a xml file. Starting 7.0.2 release, we have now enabled this -b option (and also introduced a "-bmanagement" option) to allow you to bind your server to a IP/host of your choice. So let's quickly see how it's done. In the logs you'll notice that the server is being bound to 127.0.0.1 IP (by default). What this means is that all your services including the web access won't be accessible remotely from a different machine via the IP address or hostname of your machine. The first one is the default home page of your server and the second URL is the admin console. Now try accessing them using your machine's IP or hostname instead of localhost and you'll notice that they aren't accessible. Now let's see how we can enable access via your machine's IP or hostname. As you can see the http interface and the management interface are now both bound to the IP address that you passed as a option to the startup script. So you'll now be able to access the home page at http://10.67.2.193:8080 and the admin console at http://10.67.2.193:9990. That's it! So go get a fresh copy of 7.0.2 and start using it. If you run into any issues are have any suggestions, feel free to report them in our user forum. Which page are you having problem with? What's the URL? During shutdown, jboss shutdow hook trying to stop ejb services. Before that Jboss shutdown hook unbinding ejb3registrar. Due to ejb3registrar unavailability while stoping service, jboss throwing exception. org.jboss.ejb3.common.registrar.spi.NotBoundException: Could not retrieve Ejb3Registrar as a registrar implementation has not yet been bound. Can you tell me, how we can configure my ear so that it will undeploy first before unbinding ejb3registrar. Or is there any solition to the above problem.